Puerto Princesa has a lot of Vietnamese restaurants owing to the fact that it was once host to many refugees from Vietnam. Locally, these restaurants are known as chaolongan because they serve a noodle dish called chaolong. I wonder though why they call it chaolong when the noodle dish is more aptly called pho (phở). Chao long is congee (rice porridge) with pork innards. The best of these Vietnamese restaurants is Rene's Saigon Restaurant. Unlike other restaurants which serve the local chaolong, Rene bakes his own Vietnamese baguette or bánh mì. Plus he's half Vietnamese and his wife is Vietnamese. The other chaolong restaurants are owned by locals who inherited the restaurants from the Vietnamese after they migrated to the U.S.
At the same time, Rene's Saigon Restaurant has more choices when it comes to Vietnamese food including fresh rolls or gỏi cuốn and fried spring rolls chả giò and authentic bánh mì sandwiches among others. 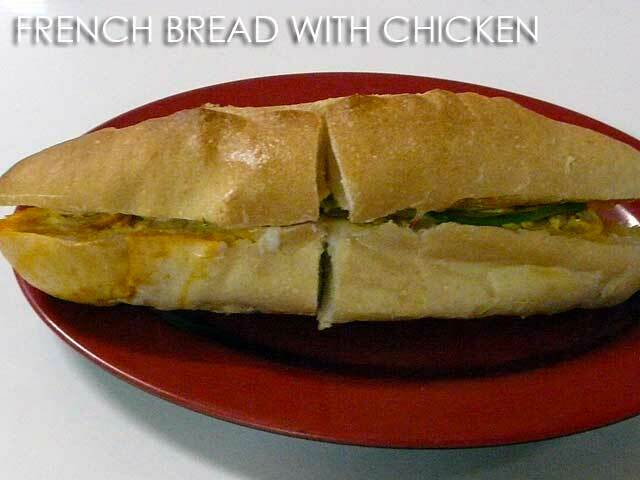 In the menu, you will see the sandwiches under the heading French Bread. We ordered fresh rolls (Php100) and fried rolls (Php85) for starters. Both are not in the menu but are served upon request. 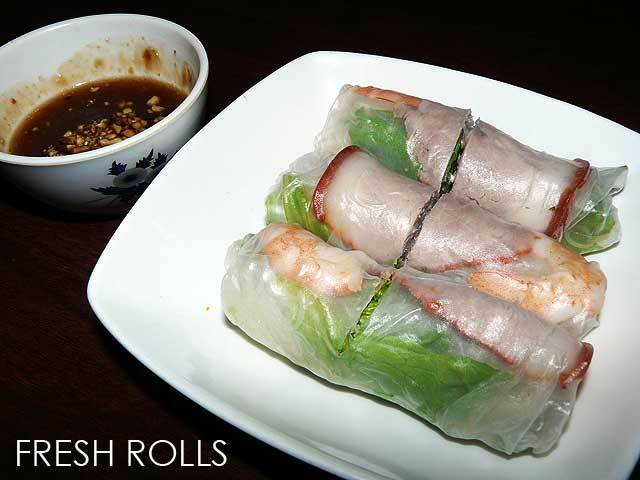 The fresh rolls are wrapped in rice paper and have pork, shrimp, bún or rice vermicelli, herbs, and other ingredients inside. 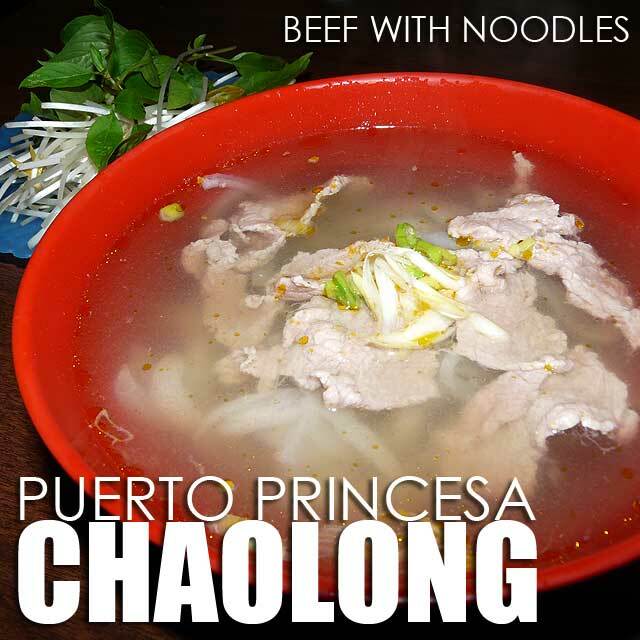 For the chaolong (again the right term for this is pho), we got Beef Stew with Noodles and Beef with Noodles (Php60 each). 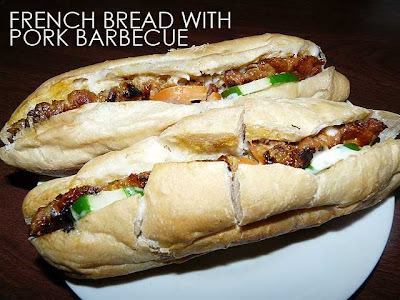 And for French Bread, we got French Bread with Pork Barbecue wich is a very popular bánh mì filling in Vietnam. Among the Vietnamese restaurants in Puerto Princesa, Rene's Saigon Restaurant is on the higher end and rightly so because it serves the most authentic Vietnamese food of all the chaolongan. But even then, it's still very affordable. 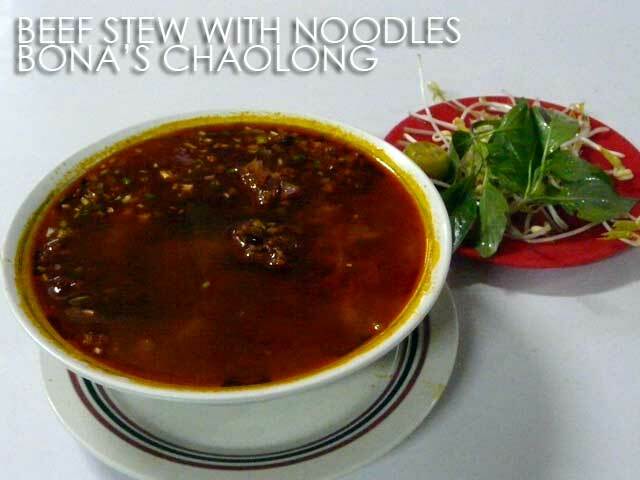 The masa version of chaolong is served at Bona's Chaolong House and Restaurant. This is very popular among the locals because prices are very cheap. I ordered the Beef Stew with Noodles Special (Php45) and French Bread with Chicken (Php25). I even took home one of their fusion sandwiches, French Bread with Longganisa (Php28). While it is cheap and good, they're also very generous with the MSG. Not good news for the health conscious. There are several more chaolong restaurants in Puerto Princesa which are also worth the visit. So if you have more time, you might want to visit them too. Tricycles know how to get to most of these chaolong restaurants. You can also get authentic Vietnamese food at Viet Ville which is on the way to the Puerto Princesa Subterranean River. Vietnamese cuisine is one of my favorites -- it is healthy, always uses fresh herbs and veggies, and somewhat light. My faves are vermicelli noodles with grilled chicken (my in-law makes this), spring rolls (my husband makes this) -- they make the sauces themselves! Hi! I don't know why we don't have good Viet restos in Manila. I mean those like Rene's. I love Viet food especially home cooked ones. May I ask for the address of Rene's Saigon Restaurant? Thanks! Me and my wife missed this kind of foods :( Wish we could go back to Palawan. ohhh,...me and my barkadas favorite! !,..one of the best food in palawan!,.. 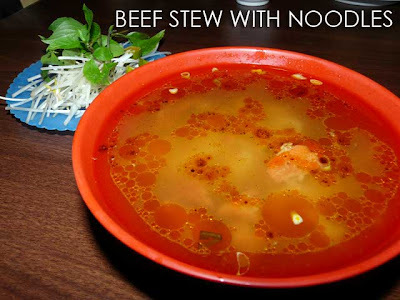 super sarap po talaga ang chaolong! the best!!! super sarap po talaga to. THE BEST!!! may idea po ba kayo kung meron niyan dito sa metro manila? ive been looking for some kasi pero never find one..
super sarap tlgah ng chaolong..and i just recently found out that viet spring rolls is masarap din.